Taipei, Nov. 25 (CNA) The newly emerging New Power Party (NPP) made substantial grounds in Saturday's elections for city and county councilors, securing 16 seats in 10 cities and counties out of the party's 40 nominees. It was the first time the NPP had fielded candidates in local goverment elections. The party was formed in early 2015, a spin-off of the student-led Sunflower movement in the spring of a year earlier that stalled ratification of a controversial trade agreement between Taiwan and China by the Legislature. 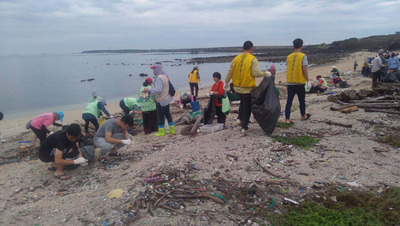 Of the 912 seats in city and county councils across the nation, the NPP grabbed 16 in the special municipalities of Taipei, Tainan, Kaohsiung and Taoyuan, and in Keelung City and Hsinchu City, as well as in Hsinchu, Miaoli, Changhua and Yunlin counties. 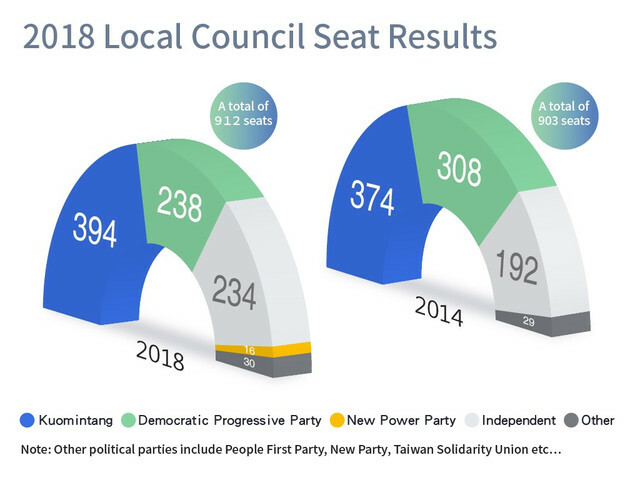 The party won three seats in both Taipei and Hsinchu City, allowing its city councilors to assemble a caucus and thus acquire greater leverage within the councils. In a statement released Saturday, the NPP expressed gratitude to voters for giving the party a chance, and vowed to "bring on new politics." In terms of the elections of city and county councilors, the opposition Kuomintang (KMT) received 40.39 percent of the vote and the ruling Democratic Progressive Party (DPP) had 31.05 percent, followed by the NPP with 2.49 percent. In all, the DPP, which suffered a huge debacle in the elections for city mayors and county magistrates, also saw a sharp drop in the number of seats the party will hold in city and county councils, from 308 in 2014 to 238. The KMT won 20 more seats in city councils and county councils compared with 2014, pushing the number of seats it has to 394. Meanwhile, the number of seats won by independents increased to 234 from 192 four years ago. In Kaohsiung, where the KMT won the mayorship, the party is likely to have a unified government for the first time since 1998, with 33 seats in the 66-seat city council. The KMT's seats increased from 24 to 33, the DPP saw an eight-seat decrease to 25, the KMT-aligned People First Party (PFP) secured one seat, and the remaining eight seats went to the NPP, the Non-Partisan Solidarity Union, the Taiwan Solidarity Union and independents. In the 63-seat Taipei city council, the KMT won 29 seats, the DPP 19, the PFP two, the New Party two and the NPP three, with seven seats going to independents and one seat won by Miao Po-ya (苗博雅) of the Social Democratic Party (SDP). Miao, 31, becomes the first city councilor of the emerging SDP, which was also formed in early 2015 as a spin-off of the Sunflower movement. Miao is also the first-ever openly lesbian council member in Taiwan.